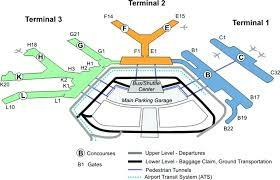 Dallas Love Field International Airport Parking Your car can pay for your parking space. Dallas Love Field International Airport Parking: Parking need not be hard and complicated in Dallas Love Field Airport (DAL). You will surely love cheap parking deals offered by TravelCar Rentals and Ride-sharing firm. Airports are constantly jammed with cars and people, you are guaranteed of smooth parking at any time of the day. That is why it is wise for a traveler to make parking plans in good time. Washington is a busy region and time is of the essence if you wish to catch your flight at Dallas Love Field in good time. We offer you convenience in secured parking spaces and valet service as per your needs. We offer cheap parking, car wash, car detailing and car maintenance at our parking lots. We have an active valet team ready to assist with the parking of your vehicle. Our customer service team is available 24/7 on all our communication channels. We are prepared to serve you at all times. Log on to our website at www.travelcar.com and subscribe to our services. 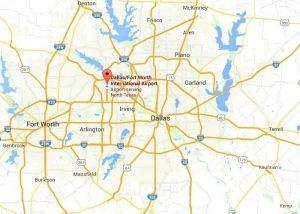 Dallas Love Field Airport in 10 kilometers North-West of Dallas Downtown, Texas, United States of America. Dallas Love Field came into existence on 19th October 1917 during the war. It opened for civilian use in 1927 after the City of Dallas purchased it. The Dallas Department of Aviation runs the airport which is a focus city of Southwest Airlines. 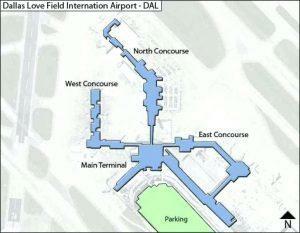 The total surface area of Dallas Love Field International Airport is 1,300 acres. It has three runways and two functioning terminals. Four other major airports in Texas surround Dallas Love Field Airport; they include Dallas/Fort Worth International Airport, Austin-Bergstrom International Airport, San Antonio International Airport, and George Bush Intercontinental Airport. Dallas Love Field is the 31st busiest airport in the United States of America. Airport’s traffic 15,723,617 passengers in 2017. Short-term parking Garage A allows for Express Pick-Up. There is a 2-hour limit for parking with one hour being free of charge. Level 1 of Garage A has six charging stations and another six charging stations on Level 3. TravelCar is all about offering value and convenience to a traveler at a reasonable cost. Parking and valet costs at our firm are affordable and manageable. Our services are diverse to suit all your needs. If you need to drive your car to the airport, we will park it for you with the help of our valet team. If you wish to lease out your vehicle to other travelers, we can list your vehicle on our platform and pay you for every mileage covered. Dallas Love Field Airport is about showing love to travelers. What a better way of showing love to our customers by giving cheap parking? Check us out on the website www.travelcar.com. Quotes are issued upon request. Remember all bookings must be made on our website. Once you are at the airport, we will handle your parking needs and ferry you to the airport terminal via our shuttle services. We have car wash services, car detailing and general vehicle servicing at our parking lots. This is to keep your automobile in the perfect condition for driving. Further maintenance costs and insurance costs are catered for by TravelCar for vehicles listed on the website for sharing purposes. Below is a list of hotels located approximately two miles from Dallas Love Field Airport. Dallas Love Field Airport has three concourses, but only two of those are functioning at the moment. The West and the East Concourses are operational, but the North Concourse is currently dormant. TravelCar is present at all major airports, seaports, train stations and cities in the Washington area. That means you will not get stranded anywhere. If you need a car rental or just a parking space, subscribe with us, and we will ensure you get the high-quality service that you deserve. Our parking lots are very secure. We have video coverage on the parking premises. Our CCTV cameras cover the whole area 24 hours a week. The security is further beefed up by guards who are standby at all times. The parking area is gated and covered to protect your vehicle. Those travelers who love cheap parking will benefit immensely from our packing package. We have guards manning the area. CCTV cameras installed to provide video surveillance inside and outside the parking premises. The area is also gated for maximum vehicle security. Valet service is a parking facility rendered to car owners whereby a valet attendant parks a vehicle in a designated area and brings it back to the client when needed. TravelCar extends this service to customers who had made an initial request at the website. The valet team is present at all hours of the day, on every day of the year. Make comparisons with other transport companies, and you will realize the value TravelCar offers. You will cherish and love cheap parking solutions accessible at TravelCar parking slots in Dallas Love Field Airport. Road DART Bus Route 524 The bus reaches Inwood/Love Field Station and Dallas Love Field Airport. The bus leaves every 15 minutes during rush hours and after every 20 minutes on off-peak hours. After 10.30 pm, the bus departs after every 30 minutes. Rail DART’s Love Link 524 The train connects Inwood/Love Field Station and Dallas Love Field Airport through the Orange Line and Green Line. The train operates from Inwood/Love Field Station on weekdays from 5:18 am to 1:07 am. On weekends, the train works from 4:20 am to 12:42 am. From the airport, the train departs from 5:27 am to 1:16 am on weekdays and 4:29 am to 12:51 am on weekends. If you are traveling from the South, use Interstate-35E northwest to Dallas Mockingbird Lane Exit, go East on Mockingbird Lane. Drive left to Cedar Springs Road and after that to the airport’s terminal building. If you are traveling from the Northern region, use North Central Expressway (US-75) or Dallas North Tollway Mockingbird Lane Exit, Go West on Mockingbird Lane, drive right to Cedar Springs Road and finally to Dallas Love Field Airport’s terminal building. From the East Mockingbird Lane Eastbound to Cedar Springs Road, move left and head to the terminal building of the airport. From the West, use Interstate-35E Drive east to the Mockingbird Lane Exit, move eastbound on Mockingbird Lane. Drive on your left to Cedar Springs Road and proceed to the terminal building of the airport. To avoid traffic snarl-ups during peak hours, leave for the airport a few hours before your flight. Early arrival at the Dallas Love Field Airport is also crucial to allow check-ins at the security points.